On May 14 and 15, ITEP and the Port of Los Angeles hosted a group of educators, port officials and business partners from Jacksonville, Florida to share best practices in promoting maritime career pathways. JAXPORT’s Community Outreach Manager, Joanne Kazmierski, along with eleven members of the NE Florida Education – Business Partner Consortium, a group made up of school district and state college leaders were given insight into how ITEP and the Port effectively partner to introduce local youth to careers in trade, transportation and logistics. During the visit, ITEP’s CEO Amy Grat briefed the group on the ITEP 10-Point program model for effectively engaging industry. Port of Los Angeles HR Director, Martin Chavez and Internship Coordinator, Gabriela Perez shared best practices from the highly successful ITEP/POLA Summer Internship Program. The group also visited Phineas Banning High School and was given a student-led presentation on the four maritime-focused academies supported by ITEP. 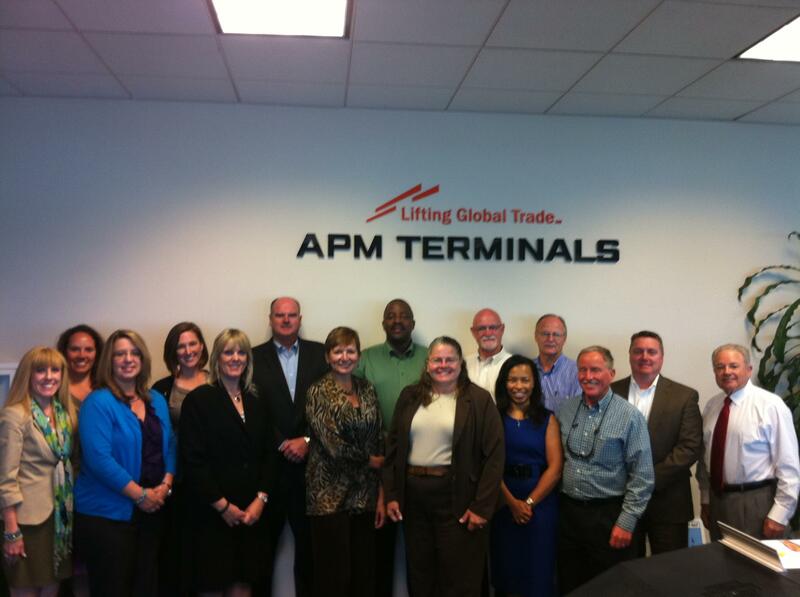 The grand finale of the visit was a luncheon meeting at APM Terminals where ITEP Board Members Gerry Fisher of Freeman Freeman & Smiley, Caroline Brown of Comerica Bank and John Ochs of APMT shared insights on the personal and professional motivation for business leaders to become involved with programs such as ITEP. ITEP looks forward to continuing the discussion with JAXPORT and the NE Florida Education-Business Partner Consortium. 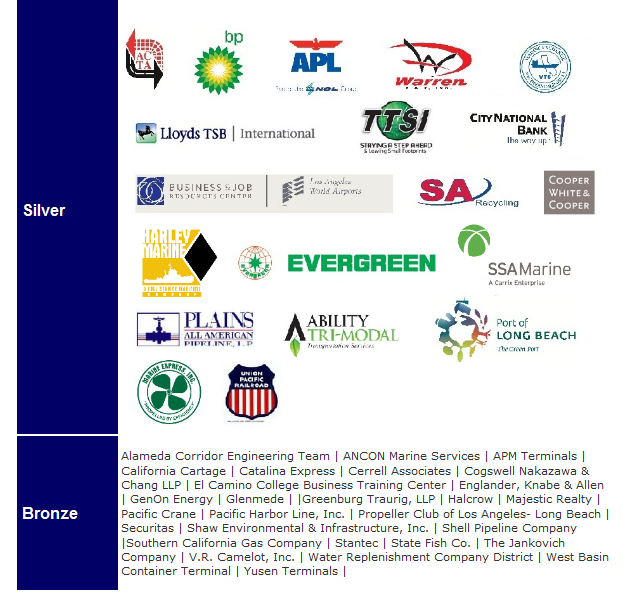 In addition to helping raise organizational visibility, such nationwide collaboration between ports and educators plays an important role in ensuring the continued growth and success of the goods movement industry. Building dreams one scholarship at a time! 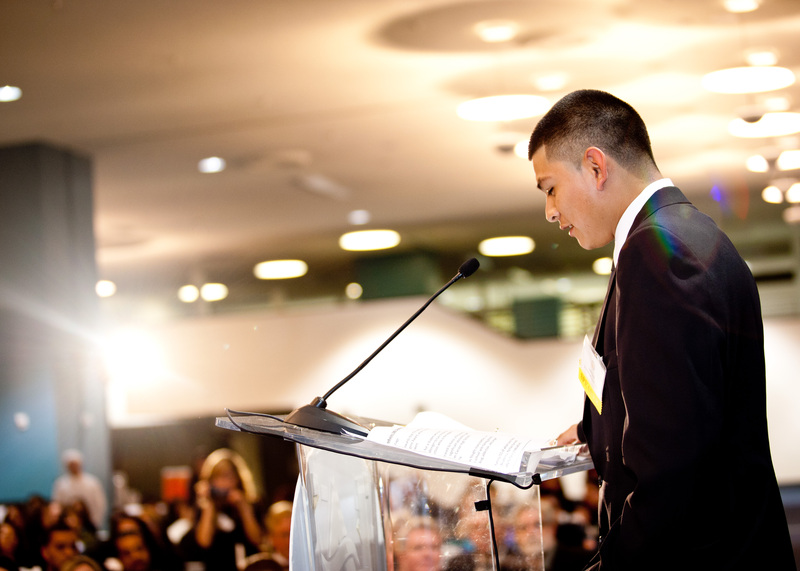 If every dream is built one step at a time, ITEP students took one giant leap on March 22, 2012 at the 12th Annual Scholarship Dinner, Building Dreams. Held at the World Cruise Terminal in San Pedro, nearly 600 students, teachers, and industry partners cheered on 12 ITEP seniors as they received well deserved scholarships and awards that will help them continue their success and dreams after high school. Along with eight ITEP scholarship winners, Violet Paredes from GSS Academy won the HAIC Scholarship, and Alberto Limas from GESA won the LACBFFA Cecilia Castellanos Memorial Scholarship. Dennis Lord from Southern California Gas Company presented a scholarship to Nicole Diaz, a GESA Senior, and Dan Benoit, on behalf of the LACBFFA and FTA, presented the Rising Star! Award to Karima Dyes from Gardena High School’s Global Leadership Academy. The Carol Rowen 180 Degree Award went to Kaipo Soriano-Weeks, a hardworking and dedicated senior from GBAC at Carson High School. ITEP was thrilled to present our Keeper of the Flame award to BNSF Railway, a longstanding supporter of ITEP and Mojave XP at Barstow High School. Trini Jimenez, Director of Government Relations and ITEP Board of Directors member, accepted the award along with Lawrence Dale, a retired BNSF employee and Mojave XP Advisory Board member. “We at BNSF are proud to be associated with such a remarkable organization. We look forward to continuing to support ITEP’s goal of building dreams and connecting students to jobs.” George Kolarov from Banning High School was recognized as ITEP’s Educator of the Year, and Tom Good from Matson received the Bill Stein Memorial Leadership Award. 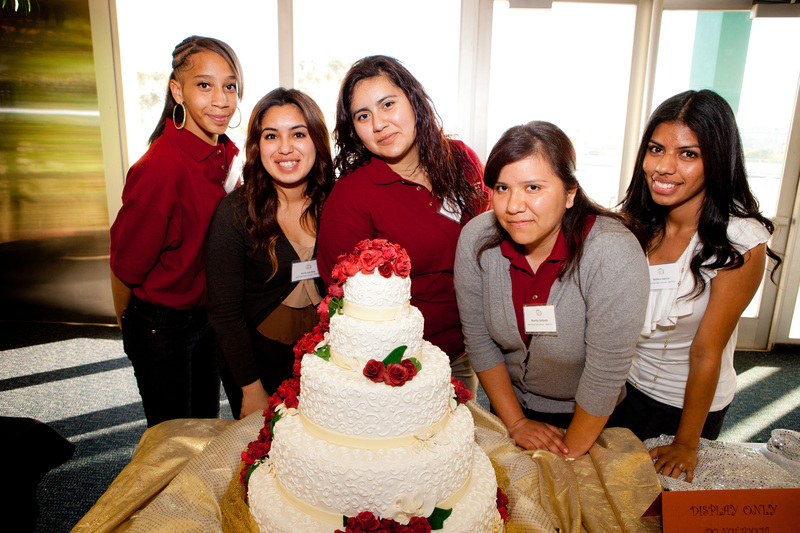 MATCH and the Los Angeles Harbor College Culinary Arts Programstudents outdid themselves with their dazzling culinary creations. Led by MATCH Advisory Board member Chef Giovanni “Chef Gio” Delrosario, LAHC students delighted the crowd with scrumptious hors d’oeuvres, and MATCH dished up a wonderful pasta dinner with an impressive array of cupcakes and edible arrangements for dessert. All in all, this year’s event was a stunning success, breaking all previous fundraising records. Thanks to the generous support of our sponsors, ticket takers and silent auction bidders, over $180,000 was raised to support the mission and programs of ITEP. 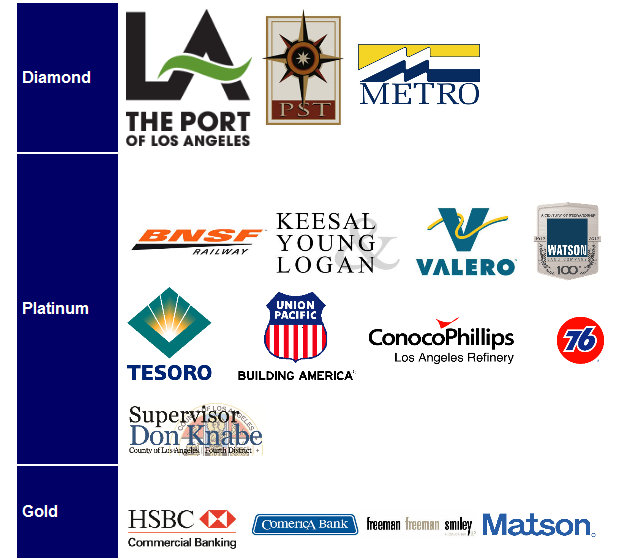 Heartfelt thanks go out to our top sponsors — Port of Los Angeles, Pasha Stevedoring and Terminals, and Metro Ports – as well as to the dedicated members of ITEP’s Dinner Committee, led by Bill Collier, and the ITEP Board and Advisory Boards who devoted countless time and energy toward making this event successful. To view more photos check out our Facebook page!